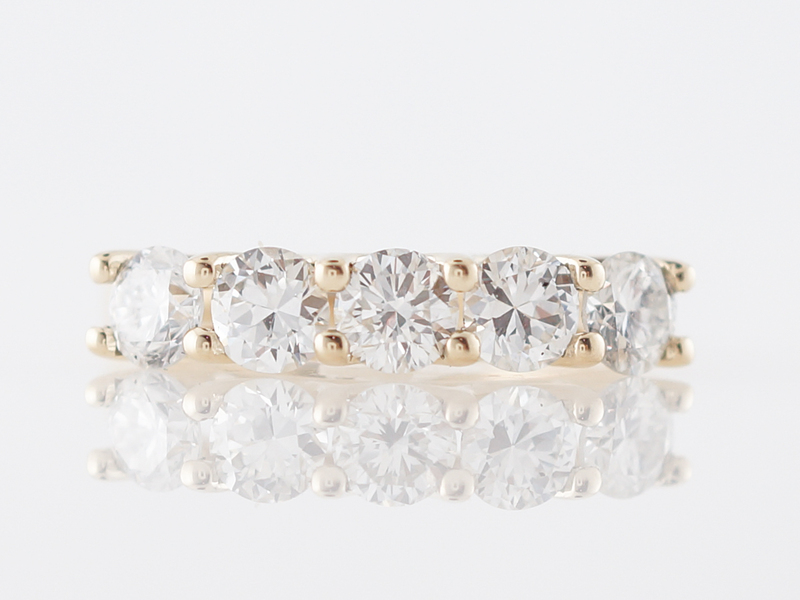 This modern wedding band features five round brilliant cut diamonds set with shared prongs and dazzling in 14 karat yellow gold. 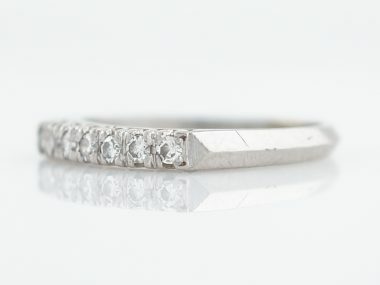 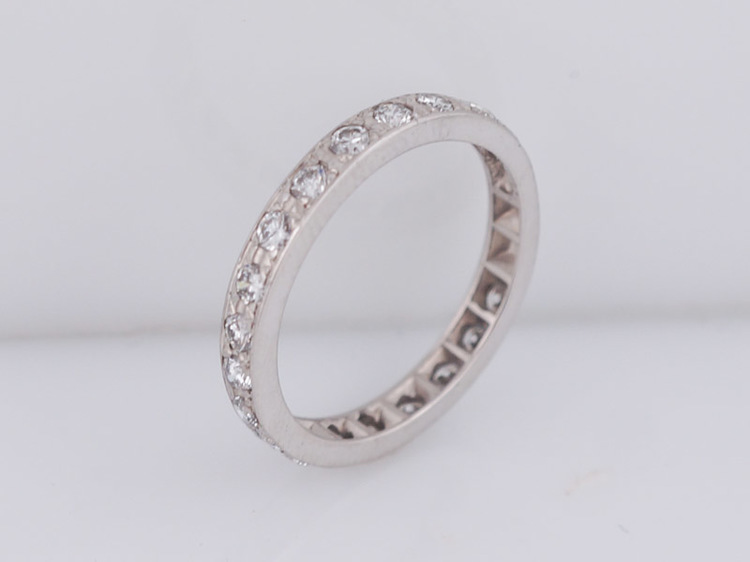 The diamonds total 1.25 in carat weight and are prominently displayed across the top of the band. 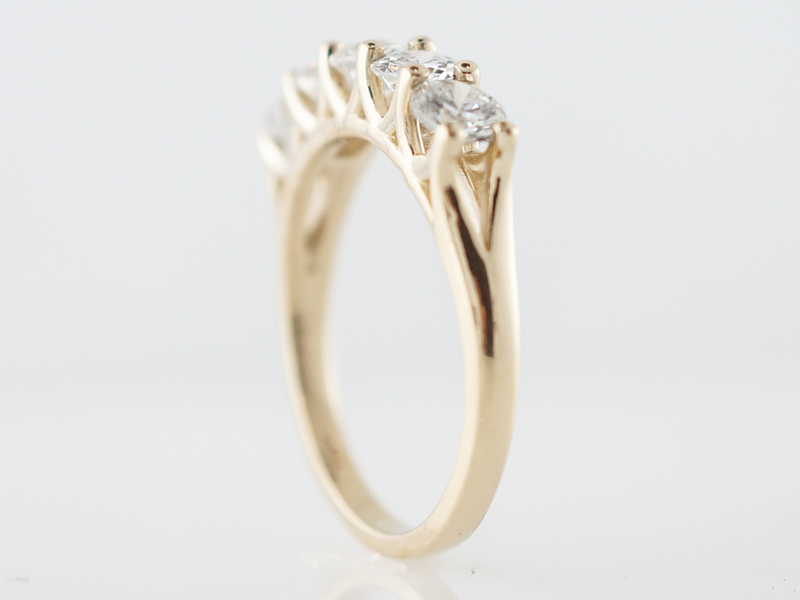 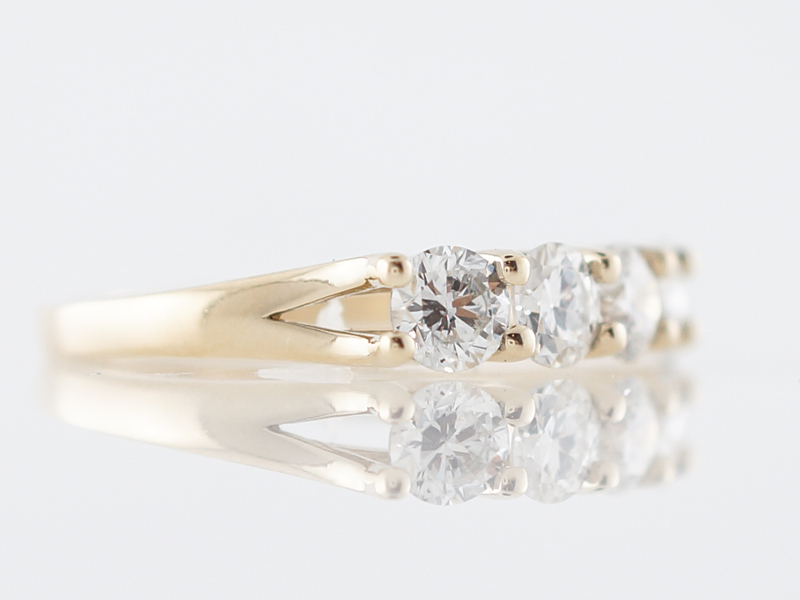 The mounting is finished in highly polished 14k yellow gold for a very glamorous look. 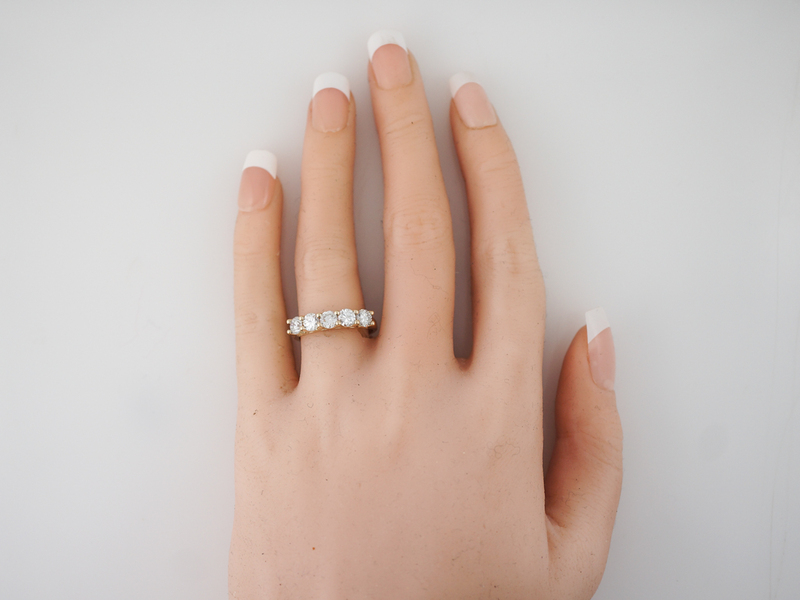 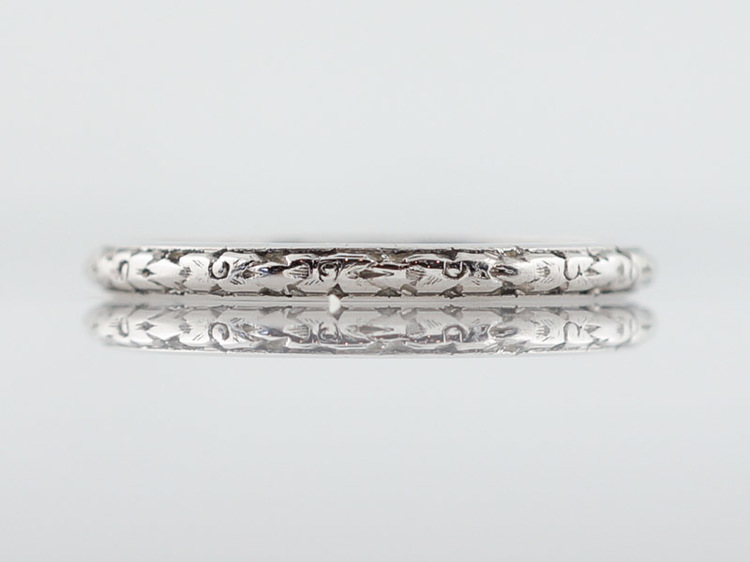 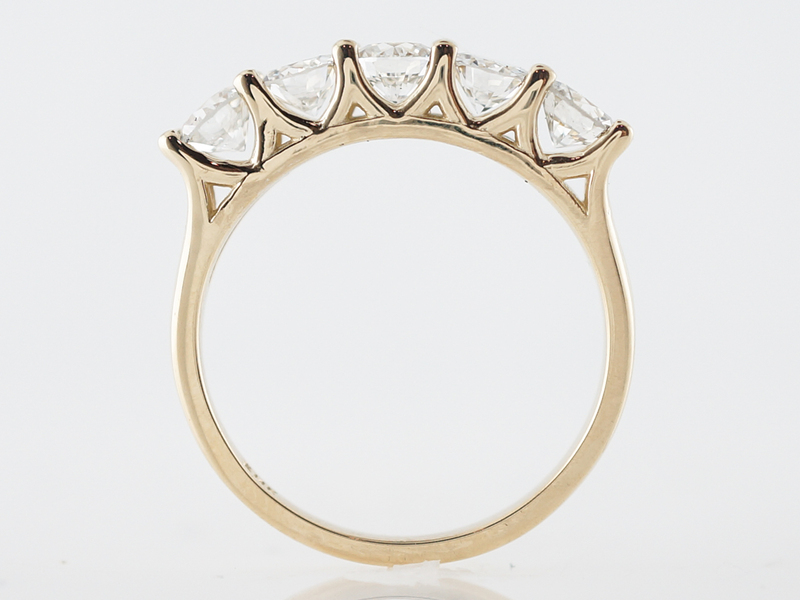 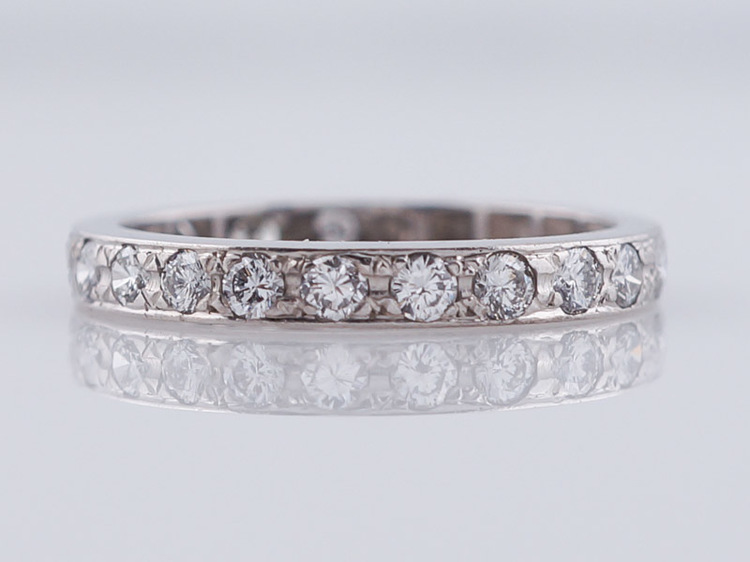 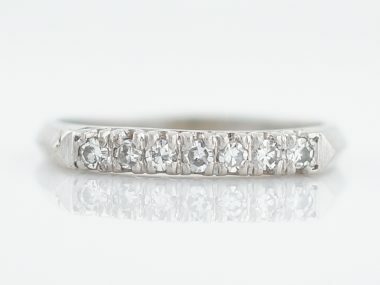 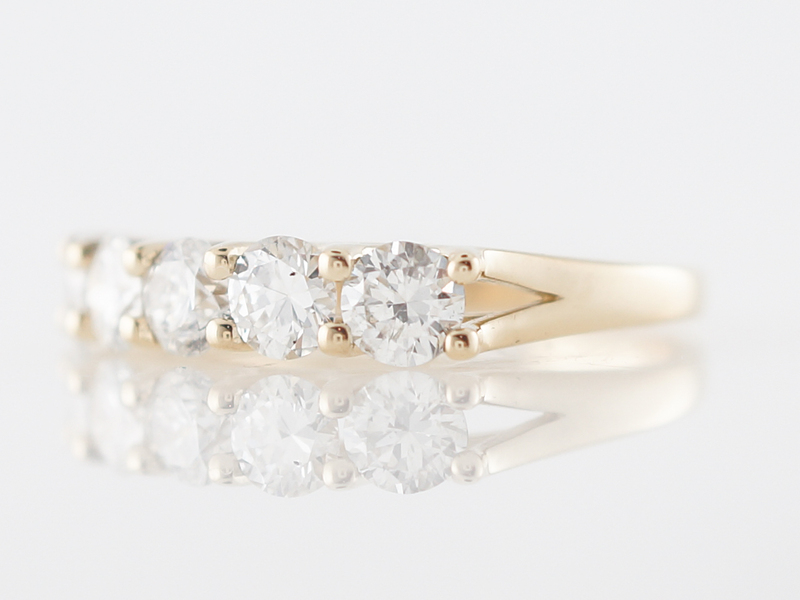 The diamonds sparkle from every angle and this ring would compliment many of our antique or modern engagement rings, or be wonderful in a stack.